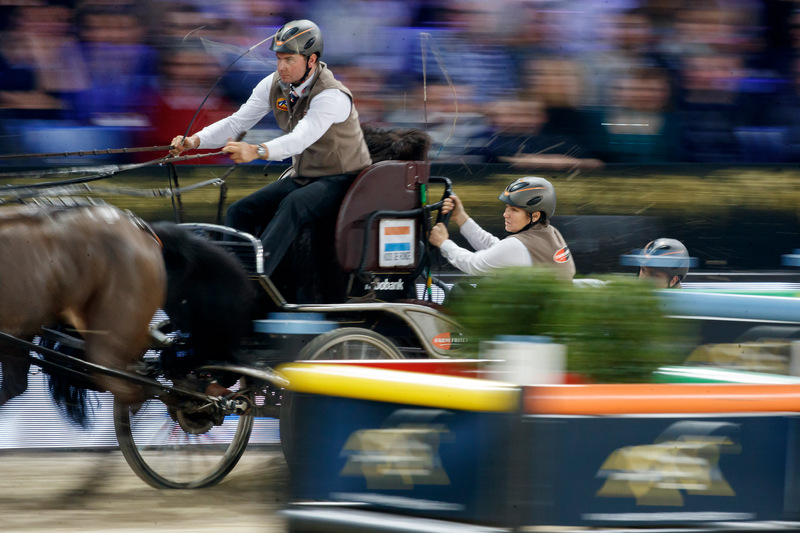 Bram Chardon of the Netherlands took his first FEI World Cup Driving win in Mechelen, Belgium, as the competition narrowed to see who would make it to the finals in Bordeaux in February. Chardon flew through the difficult course, designed by Jeroen Houterman, not once but twice. His first run in Saturday evening's competition showed superior driving ability and a willingness to test speed in spite of the tightly set marathon obstacles requiring 360-degree turns. He flew through a speed box that stymied two other competitors, turning in a time of 159.80 with only five penalty seconds. Not content to rest on his own laurels, the younger Chardon, son of driving legend Ijsbrand Chardon, went for it in the drive off, executing a clear run and an almost impossible time of 147.49 for a stunning win. Switzerland’s Jerome Voutaz gave Chardon a good run for his money, going carefully through the speed box and driving cleanly but deceptively fast. He bested his own first-run time of 154.30 with five penalty seconds to take second place after a drive off time of 150.84 and again five penalty seconds. In third place, another Dutchman, Koos De Ronde, was eager to take Mechelen, having won it in 2014. But it wasn’t to be this time, in spite of his drive off time of 157.65 with five penalty seconds. De Ronde pushed hard in the first round to make the drive off, his navigator and backstepper swinging behind the carriage in unison, for a time of 159.80. Fourth place at Mechelen went to Belgian Glenn Geerts, a home favourite, with a time of 160.91. Whilst participating as a wildcard driver, Geerts wasn’t able to pick up any World Cup points at this event, but was hoping to gain a bit more confidence and experience by making it into the drive off. Georg von Stein of Germany demonstrated how experience and composure can benefit, after missing the approach to the speed box and having to recover from 15 penalty seconds accrued early in his run while the course was reset. His final time of 179.25 wasn’t drive-off worthy, but was respectable considering the penalty and gave him fifth place. Sixth place fell to Edouard Simonet, another Belgian home crowd pleaser, who turned in a time of 182.04 and 10 penalty seconds, after nearly missing the speed box. In seventh place, Benjamin Aillaud of France finished with a time of 182.74 and 20 penalty seconds. Finishing up the field, Chester Weber of the USA was eager to finally make it into a drive off, but alas it was not to be. The bell was rung when he hit a marathon obstacle, and he wound up with 30 penalty seconds and a disappointing time of 202.93. With only one more leg to come in Leipzig in January before the finals, the competition is heating up even more to see who will win a spot in Bordeaux. With Australian Boyd Exell still first in the standings, and Ijsbrand Chardon not far behind him, the rest of the field will have to give their all in Germany next month to make it to France. With Bram Chardon’s win this weekend in Mechelen, there just might be two Chardons competing in the finals. 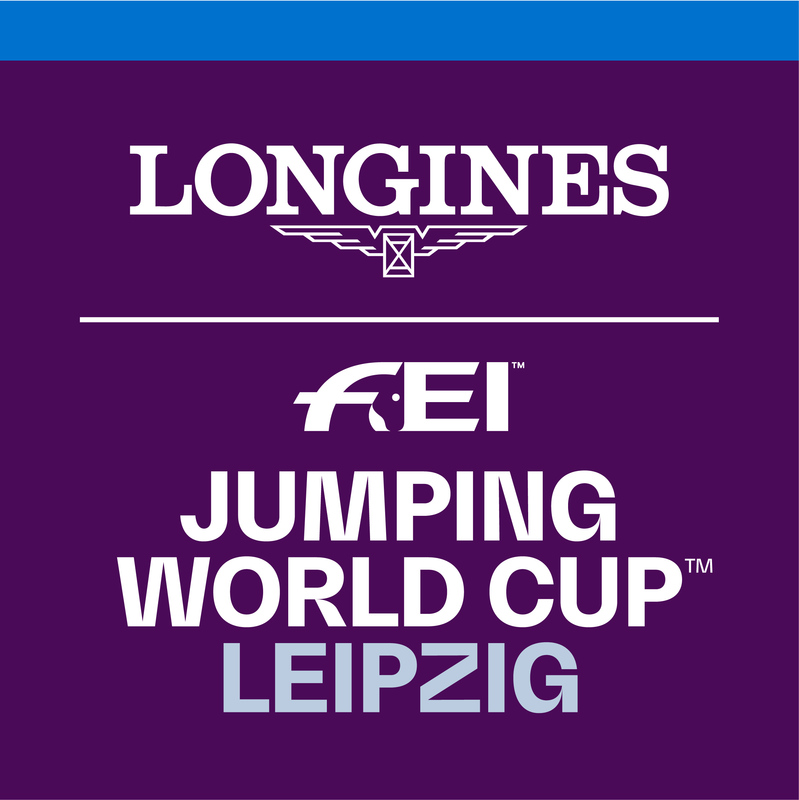 Tune in to FEI.tv to catch all the action from Leipzig.